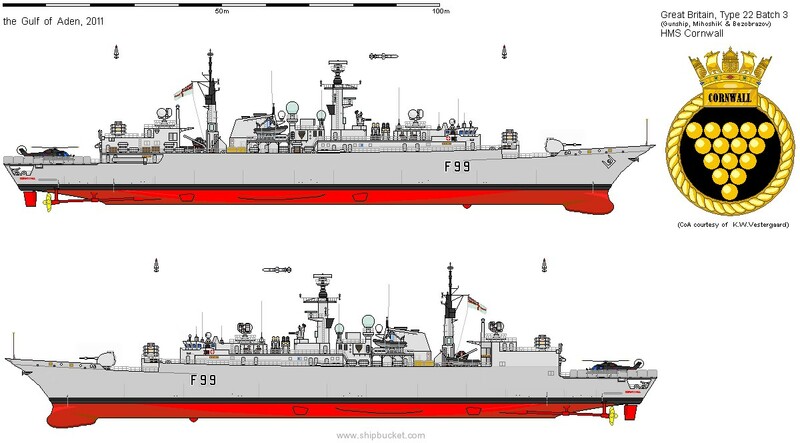 Builder: Yarrow Shipbuilders, Glasgow, Scotland, U.K.
HMS Cornwall was a Batch 3 Type 22 frigate of the Royal Navy. 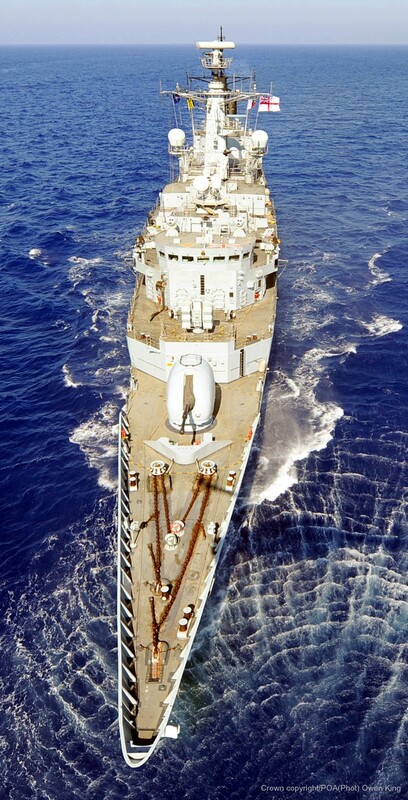 She was the first Batch 3 to be built, and the last to decommission. 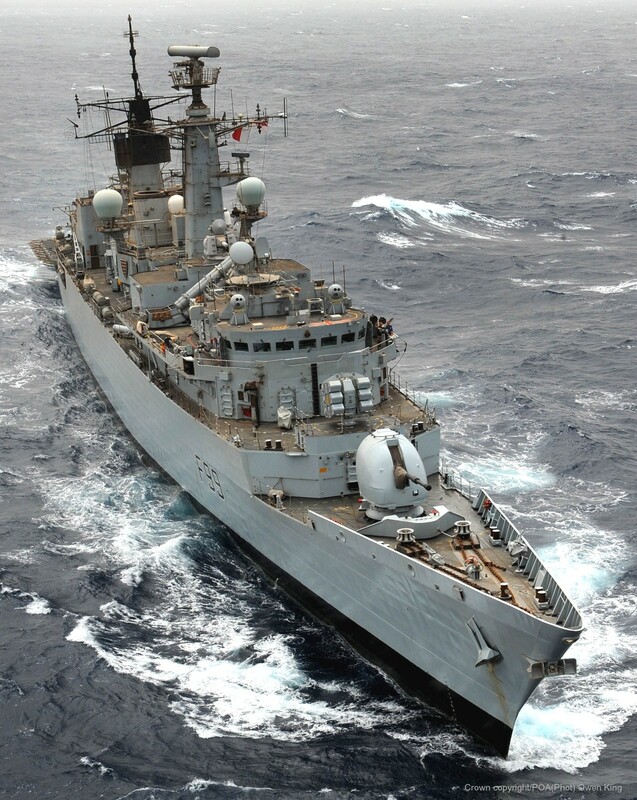 Cornwall was based at HMNB Devonport in Devon, England, part of the Devonport Flotilla. She was built by Yarrow Shipbuilders and launched by Diana, Princess of Wales at Scotstoun on the River Clyde in October 1985 and commissioned at Falmouth in 1988 by the ship's sponsor, Diana, Princess of Wales (who was also the Duchess of Cornwall). HMS Cornwall had battle honours from Barfleur in 1692, the Falkland Islands in 1914 and the Dardanelles in 1915. 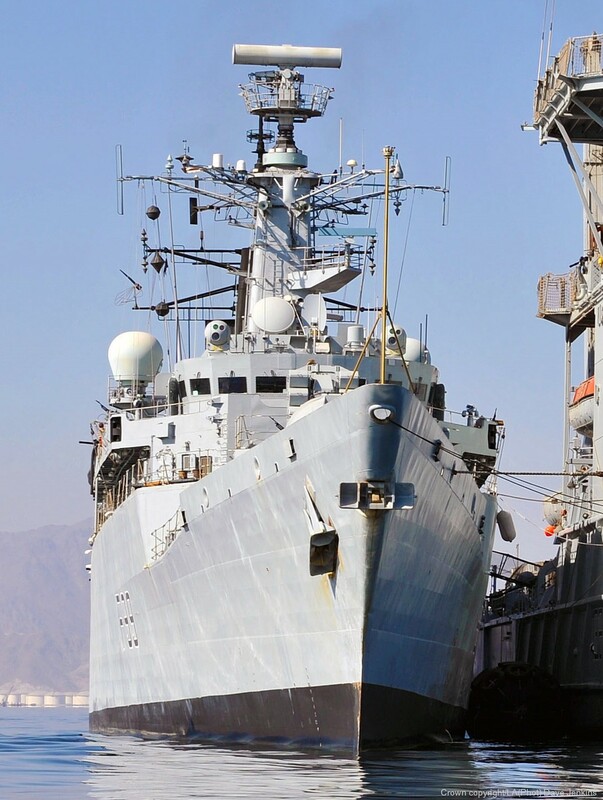 Cornwall undertook duties in the North and South Atlantic Ocean, Adriatic, Mediterranean, Caribbean and Baltic seas throughout her time in service, and completed several patrols to the Persian Gulf and deployments to the Far East. In 1996 she served as Flagship of the First Sea Lord in Saint Petersburg, during the 300th anniversary celebrations of the Russian Navy, followed by a period as Flagship of NATO's Standing Naval Force Atlantic. 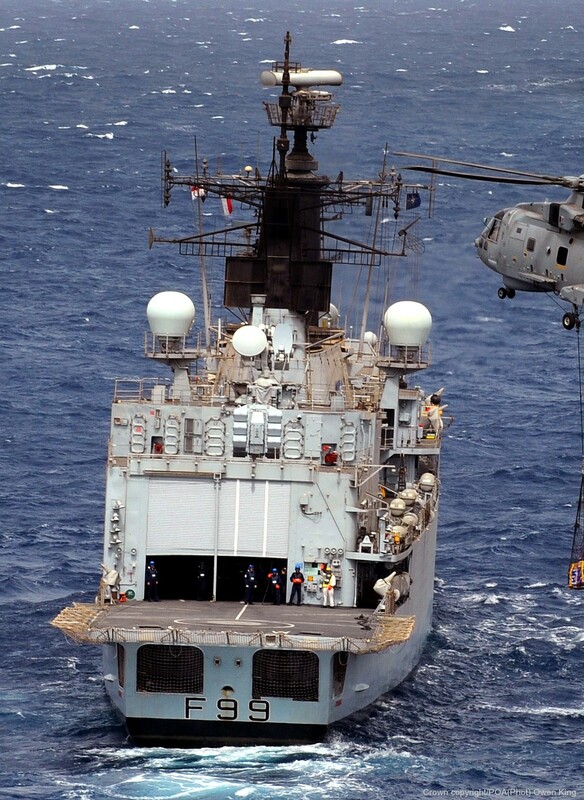 In 2001 she was part of the Royal Navy Task Force engaged in the invasion of Afghanistan. 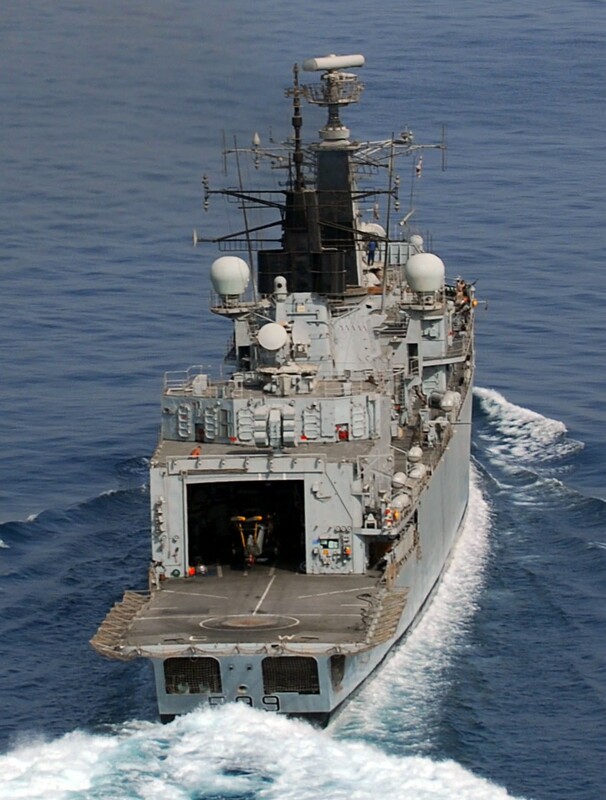 In 2003 she was again committed to Standing Naval Force Atlantic, supporting Operation Active Endeavour in the Mediterranean. Following the death of the Princess of Wales in 1997 the role of sponsor was assumed by Mary Holborow, Lord Lieutenant of Cornwall. 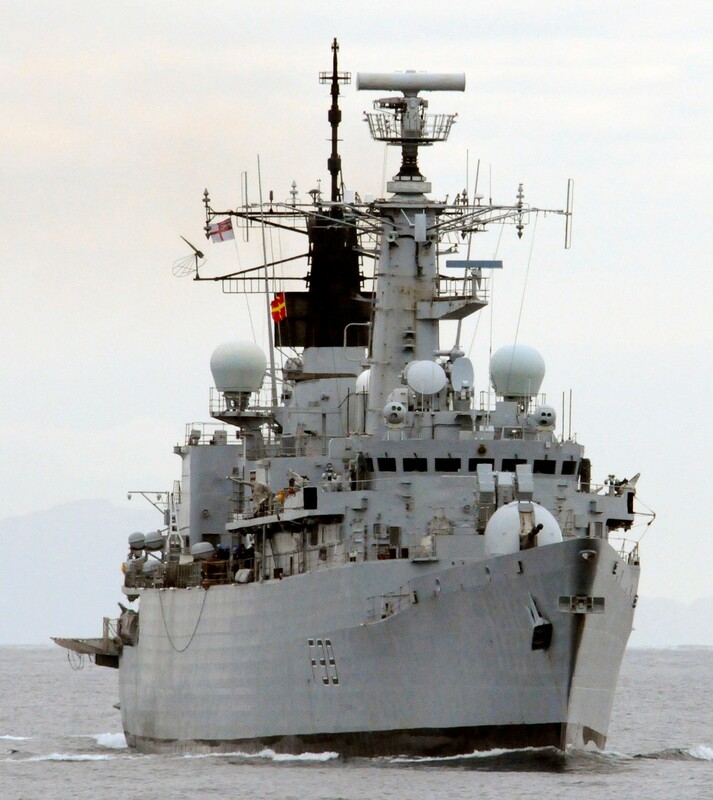 Ceremonial activities have included acting as flagship for the Battle of the Atlantic Fleet Review in 1993, commemorating the 50th anniversary of the Battle of the Atlantic, and in 2002 delivering a 21-gun salute as part of celebrations of the Golden Jubilee of Queen Elizabeth II. On 28 January 2006 Cornwall was rededicated, following a period of docked maintenance, in a ceremony at Falmouth attended by Lady Mary Holborow. 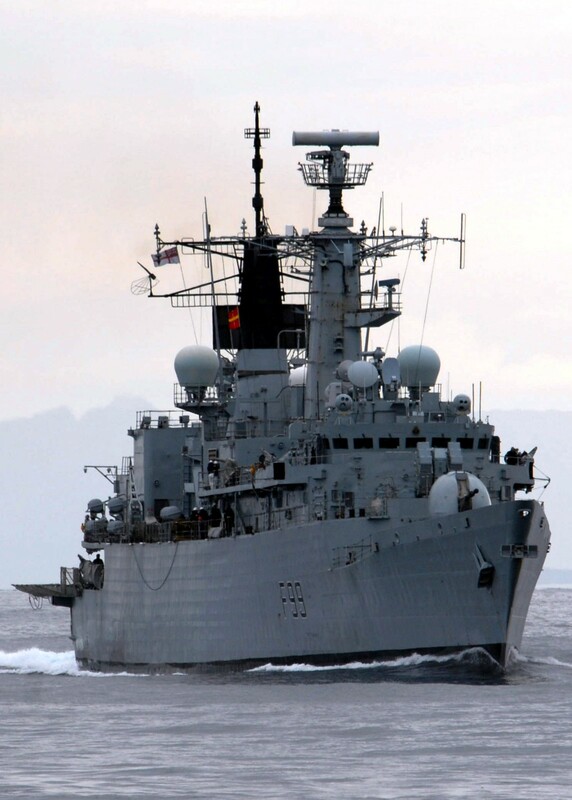 On 23 March 2007, fifteen sailors and Royal Marines from HMS Cornwall were detained by elements of the Navy of the Army of the Guardians of the Islamic Revolution following a routine search of a vessel suspected of smuggling, in the vicinity of disputed territorial waters. 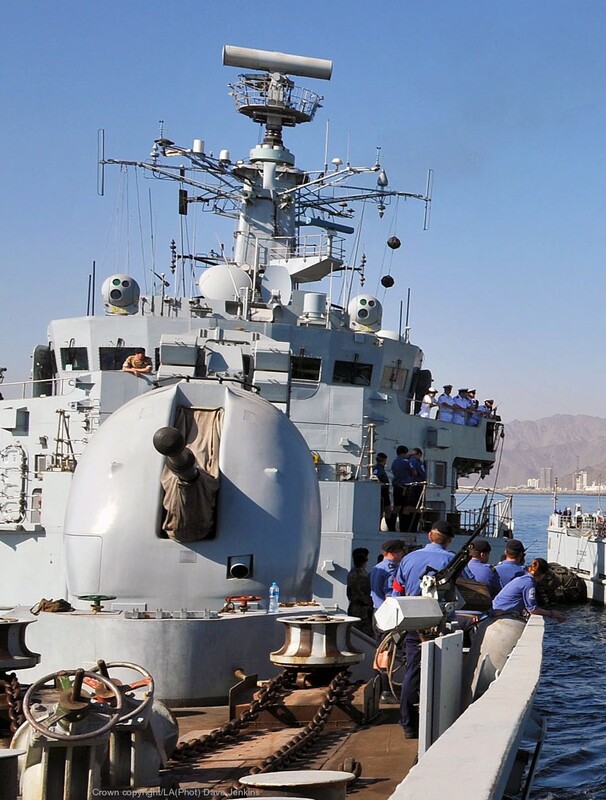 In February 2011, while operating in the Gulf of Aden as part of the Combined Maritime Forces, boarding teams from HMS Cornwall participated in the rescue of five Yemeni fishermen and the capture of 17 Somali pirates from a fishing dhow, which had been seized by pirates on 11 November 2010. 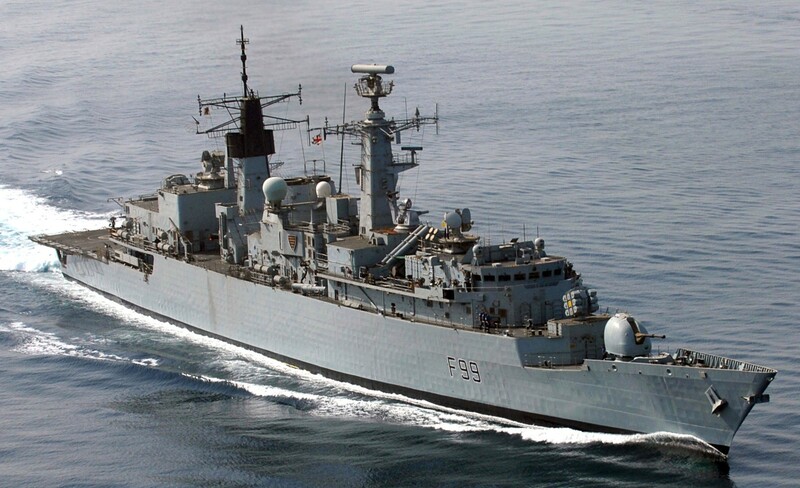 On 26 April 2011 she returned to Plymouth for the last time, and decommissioned on 30 June 2011. Her decommissioning pennant was presented to the Davidstow Airfield and Cornwall at War Museum on 5 October 2011. The Ship's Bell was presented to Truro Cathedral on 18 October 2011. 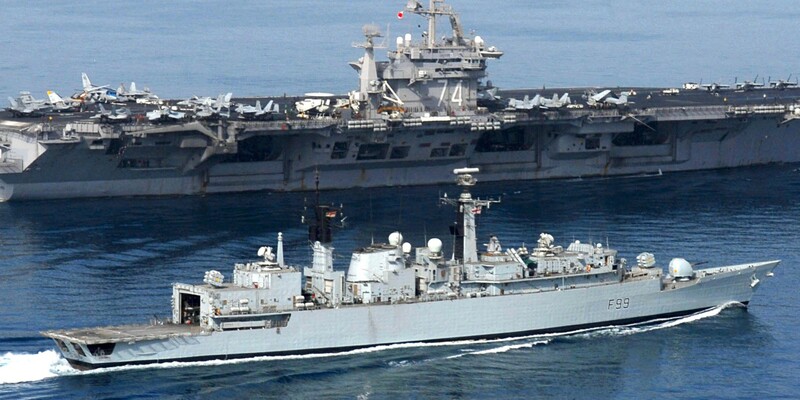 She was later towed to HMNB Portsmouth, where she lay with sister ships HMS Cumberland, HMS Campbeltown, HMS Chatham. All four were put up for sale in January 2013 and in July sold to Swansea Drydocks for demolition. She left Portsmouth, being towed to Swansea, on 24 October 2013.